Ford Motor Company and WPP are in discussions to extend Ford’s agreement with the network for a period to be agreed on next year. This comes after Ford verbally informed WPP that it is considering its future internal and external marketing model. According to a statement on WPP’s website, the network is considering the proposal and is in talks with Ford on the next steps. Reuters reported that Ford valued the creativity of WPP’s staff members and that they are “trusted partners and curators” of the brand. The company added that it is currently considering options to boost its marketing and advertising operations. In the third quarter of 2017 ended 26 October 2017, Ford garnered a revenue of US$36.5 billion, with automotive profits driven by North America and a record Q3 pre-tax profit in Asia Pacific of US$289 million. According to Ford, the high pre-tax profit was driven by material cost reductions and lower structural costs. 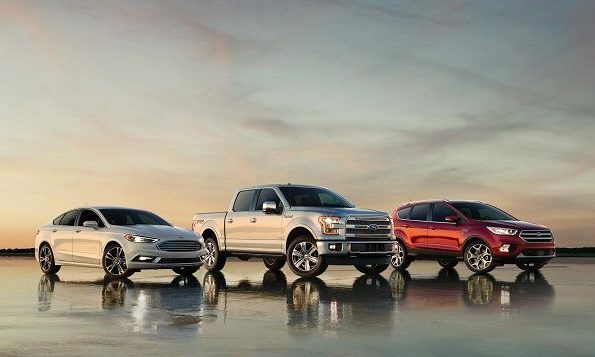 Revenue for Asia Pacific was US$3.7 billion and Ford expects the region’s pre-tax profit to continue improve from 2016 due to lower cost and favourable volume and mix. “This quarter demonstartes that our team’s focus on fitness is showing early promise. But we also know that we must accelerate that progress in the near term, while taking the necessary steps to fundamentally redesign our business operations to be more fit for the long term,” Jim Hackett, president and CEO, said. YouGov's BrandIndex 2016 looks at the brands that generated the most buzz in the region last year - with Mannings taking the overa.. The US-based coffeehouse chain is trying to boost its business in China, while Beijing and Shanghai will be the first two benefici..
Loyalty is no longer a collection of points or putting a card in your wallet. It’s about building an emotional bond, proving your ..